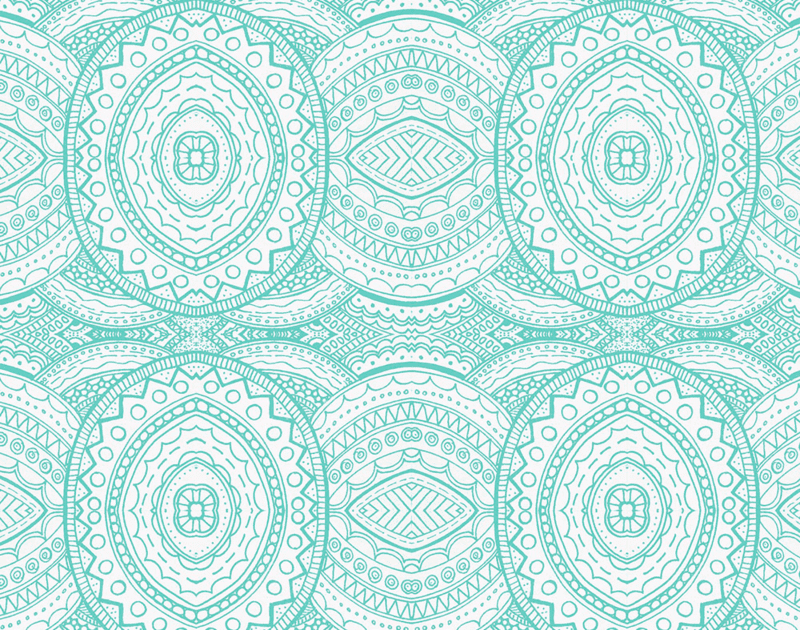 What inspired your Spoonflower Employee Design Challenge entry? 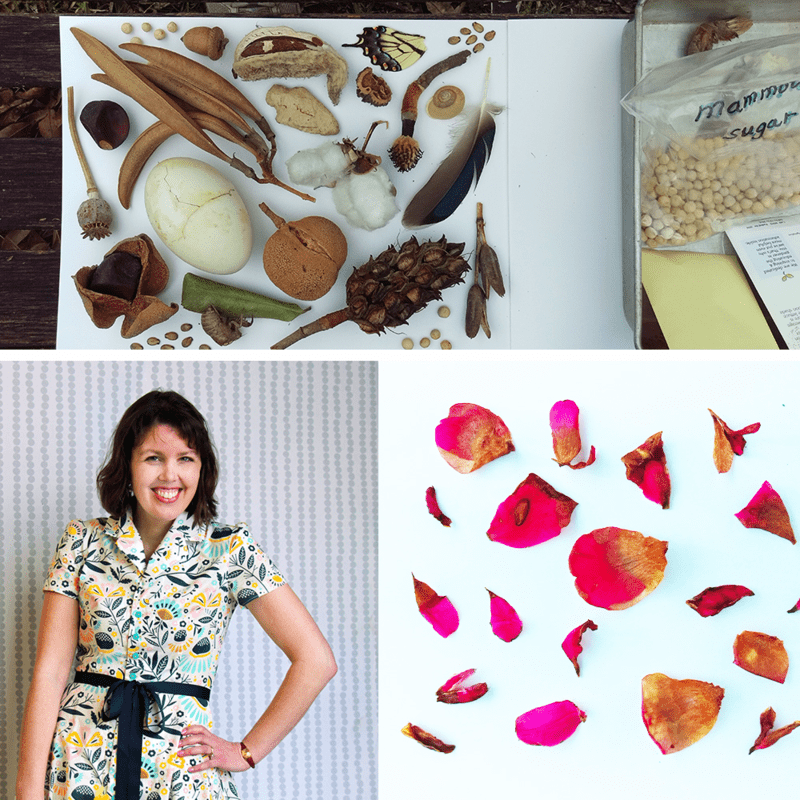 Holly: My husband and I are collectors of odds and ends. We take a lot of walks, we garden, and we are always looking around for odd things in nature. Many of these things are small and ephemeral, and we pocket them and they eventually find their way to a windowsill or bookshelf nook in our home. 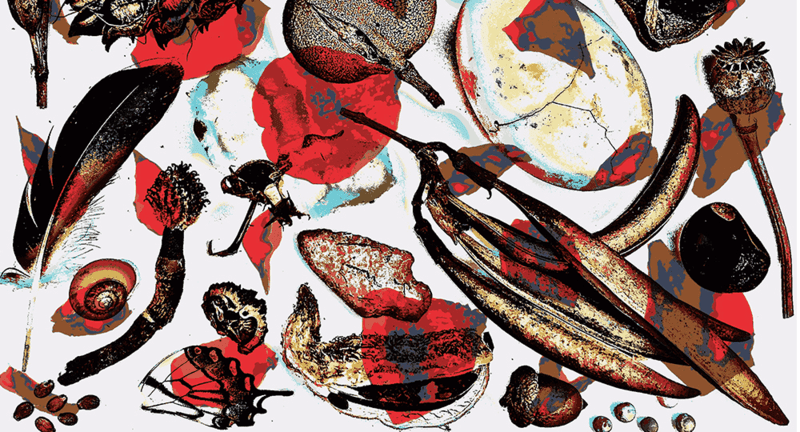 There are shells, feathers, seeds and seedpods, a cotton boll, a buckeye, a broken nutshell, a cicada husk clinging to a leaf, and many other little "curiosities." For my design I decided first that I would make a drawing of many of these little things, and focus more on the contours and textures than on the realism of the items. However, I soon lost interest in my drawing and decided to take a photo instead. How did you manipulate your photo to make it more "abstract"? Using my photo, I played with the colors and exposure in PicMonkey, as well as changed some of the colors using the Spoonflower color-changer tool. I really liked the result! However, even though it was abstracted a bit, it didn't seem abstract enough for the challenge theme. Nicole drew inspiration for her Design Challenge entry from her house plants as well as artist, Matisse. 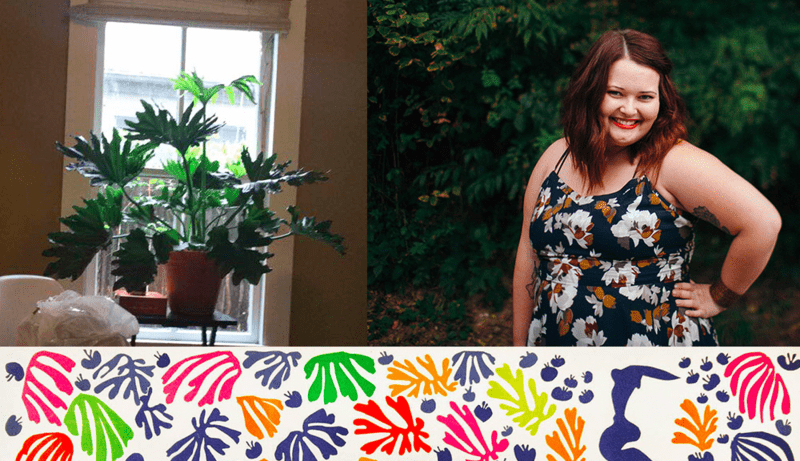 For this year's Design Challenge, I looked at my house plants and loose abstract paintings to get an idea of what I wanted to do. What really inspired me was Matisse's paper cuts; he has always been my favorite artist and I love his use of color and simplistic shapes in later work. I usually draw or paint by hand and then scan my artwork into Illustrator because it adds a personal quality to your designs. Lately, I have been working on simulating the hand-drawn and cut look with Illustrator brushes, so this design ended up being 100% made in Adobe Illustrator and Photoshop! The biggest challenge for me as a designer in general is knowing when to stop. I have the tendency to keep working and trying to reach a level of "perfection" that is usually unattainable. Because of this, most of my work will always be in progress, ready to be revisited again another day. 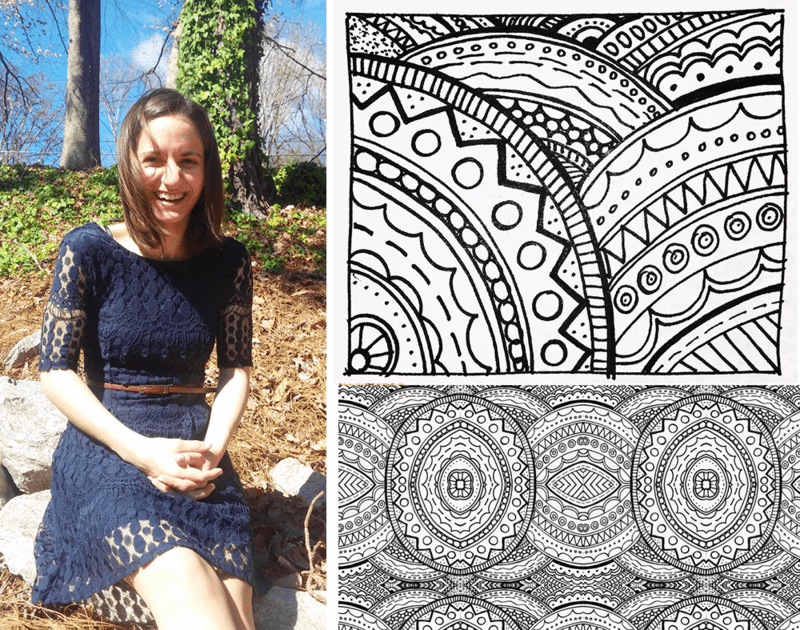 While stressed at first, Alexis found her design groove and overcame the difficult theme for this year's Employee Design Challenge! 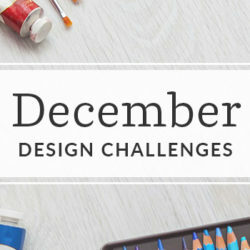 What was the hardest part about the Design Challenge? 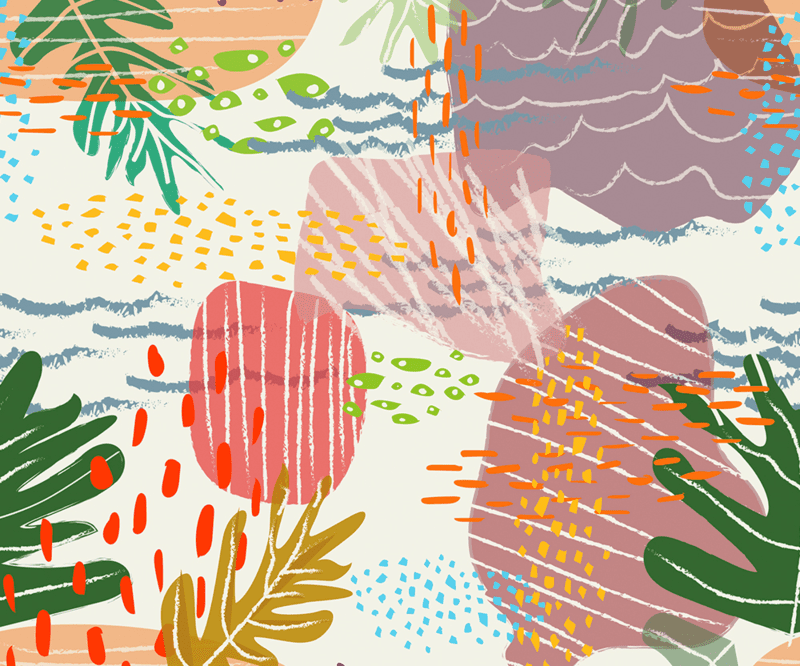 I was super stressed out about doing something abstract since I don't usually work in that style! 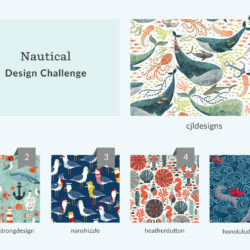 There's just one more day to vote for your favorite Spoonflower Employee Design Challenge entry! 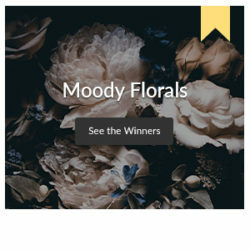 Comment below with who you think will take home the coveted prize : an upholstered chair with the winning design! You’re certainly right… having the ability to easily adjust your design through programs like Illustrator or Photoshop can make the design process much smoother! Sometimes though, it’s nice to go back to tech-free designing! 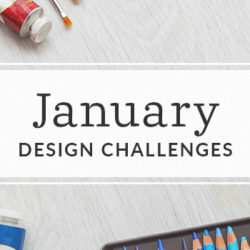 We hope you’ve enjoyed getting a behind-the-scenes look at the designs entered in this week’s Design Challenge!